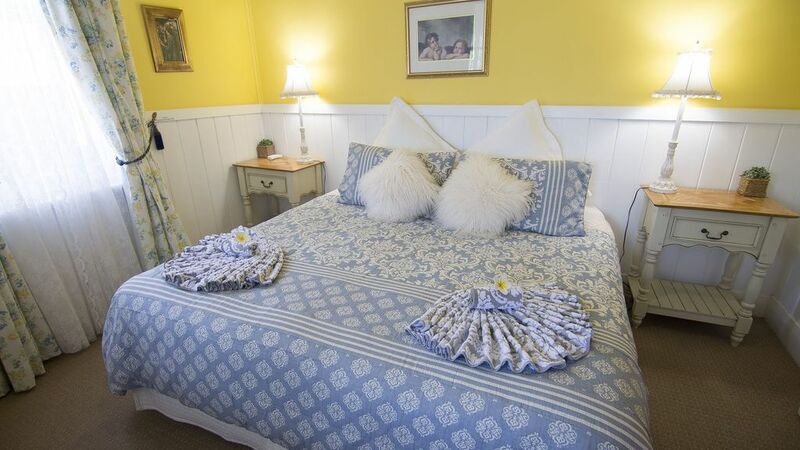 Situated within a 5 minute walk from Mildura CBD and The Mighty Murray River you will find "Pammys Palace" a Cute and Cosey Fully Self contained cottage that sleeps 4 people, 2 couples. Pammy's Palace is the perfect base for exploring our diverse outback region. From the junction of the Murray and Darling rivers to the Heritage Listed Mungo National Park. Mildura truly is the gateway to The Australian Outback. Pammy's Palace is within walking distance from 'Famous Feast Street', 4 Cinema Complex, Lawn Tennis Courts, Parklands, Paddleboat Rides and Bowling Club. The Mildura Tourist Centre and Wave Pool Complex and Golf Club is a short 5 minute Drive away. Pammy's Palace is suitable for a romantic weekend, short break and we do special corporate rates for business people and long term stays. The Entire Home is yours once booked! Continental Breakfast & Fresh Fruit on ARRIVAL. Pammys Palace is Pet Friendly...$40 per pet per stay!! Must advise management if bringing pets. I do request that all dog droppings are picked up before vacating, thankyou! Quaint, homely cottage a short stroll from central Mildura. Generous with inclusions and thoughtful touches. Over the last 5+ years my husband and I and our two dogs have stayed in multiple properties in Mildura with Pam as our host and we have never had a bad experience. Such a beautiful cottage, amazing location and everything we needed for a fantastic weekend away. Very pet friendly. Pam was extreamly helpful. Thanks. Our stay in Mildura was made so much nicer thanks to Pammy's Palace. The location was great and helped with visiting all the family. The backyard was a wonder to behold and being a painter from the Victorian Artist Society i was soon absorbed with the great shed and old watering cans and stuff. Your wonderful food hamper was also a great surprise and we thank you for the thought. Well done ,we will return. Considerate host and lovely welcoming treat basket. We enjoyed our stay. Upon arrival fruit, cheeses and bubbly greeted us plus provisions in the fridge. A cosy quaint cottage with all the comforts you need. Close to shops and river walk. A great secure backyard for the fur family and floorboards in living room. Thank you Pam for a great stay...just wish we had booked longer. we had a great time here, Banjo our kelpie loved it also! Will definitely stay again! So glad you and your Kelpie had a great stay.